Officers William Hoefler and Victor Yatsyk rescued a trapped driver from his car just before it exploded into flames near the intersection of I-57 and I-80. 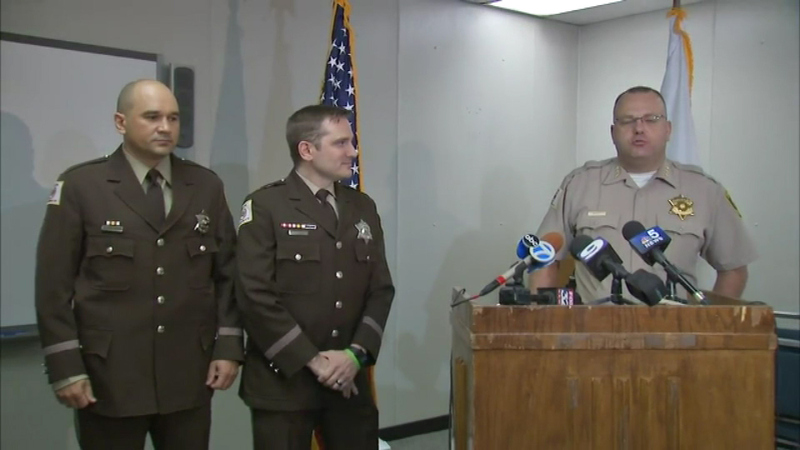 CHICAGO -- A pair of Cook County sheriff's officers who pulled an 18-year-old man out of his burning car last month were honored for their bravery on Wednesday. Officers William Hoefler and Victor Yatsyk rescued the trapped driver from his car just before it exploded into flames near the intersection of I-57 and I-80. Great Clips awarded the men $2,000 for their heroism. The officers said they were just doing their jobs. "Just happened to be in the right time at the right place. And I'm glad everything worked out fine," Yatsyk said. The officers are donating the money to a non-profit group that helps families of fallen Illinois officers.